The conference room on 153 Phillip is the J. H. Plunkett Room. John Hubert Plunkett was a man who should be, and eventually will be, recognised and honoured as one of the greatest of all Australians. As Attorney-General, he prosecuted the perpetrators of the Myall Creek Massacre of 1838, when a band of white colonists murdered some 28 Aboriginals, mostly women and children, at Myall Creek in the New England area of NSW. His courage in doing so brought down on his head the relentless hostility of the vast majority of the white population. He conducted a first trial, at which the all-white jury acquitted the accused. He nevertheless brought new murder charges, in respect of a different victim, and at a second trial the accused were convicted. Those convictions, and the resultant death sentences, were seminal events in the legal and social history of this country, whose reverberations continue to this day. He was one of the founding fathers of the University of Sydney, Sydney Grammar School and St Vincent’s Hospital (where the Centre for Ethics is named after him). He pioneered the Church Act of 1836, which disestablished the Church of England in this country, and embedded the principles of legal equality among religions and the separation of church and state. 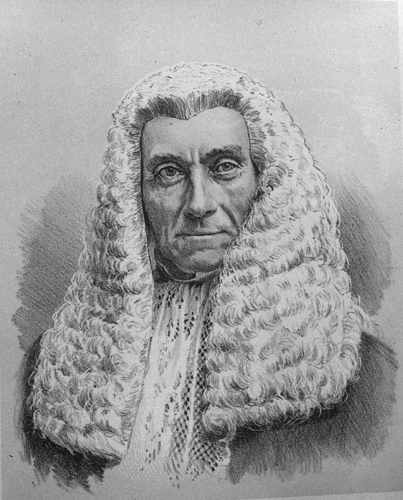 He was the first ever Australian to be appointed silk (QC), in 1856.